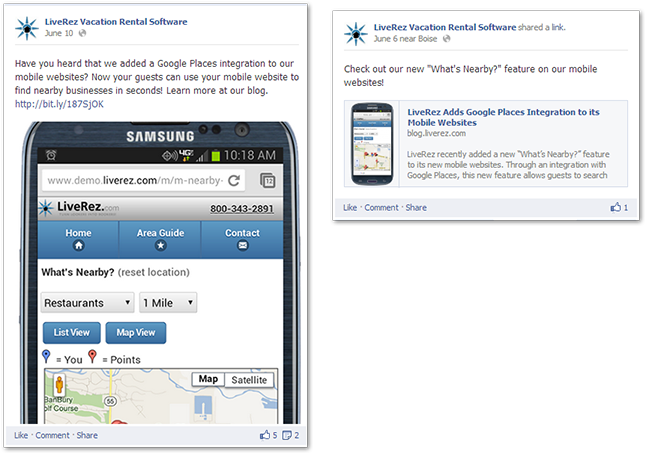 Facebook is quickly becoming a huge priority for vacation rental managers. But, many of these managers are still searching for the best way to use Facebook. Well the good news is that social media and marketing experts are always working to build best practices on Facebook and then going back and tweaking them with every update Mark Zuckerberg’s team is pushing out. 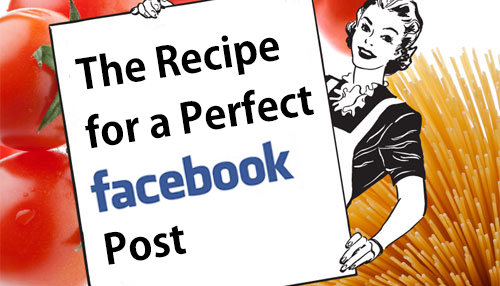 Marketing Guru Neil Patel, co-founder of Crazy Egg and KISSmetrics, recently featured a guest post from social media expert Mike Bal, examining the anatomy of the perfect Facebook post. It’s definitely worth a read. You can click here to view it now. What I am going to do in this post is attempt to translate Bal’s ideas into some actionable insights for vacation rental managers. I’ll try to break down these concepts into simple rules you can follow. Let's get started. Did you know that Facebook has its own algorithm? Just like how Google has an algorithm to determine where your website appears in search results, Facebook now has an algorithm that determines what order it displays Facebook posts (it's called EdgeRank). According to social media experts, this algorithm is based on engagement. The more shares, comments and likes your post gets (in that order) will determine how much visibility it has amongst your fans. It also appears that the algorithm is personalized to each user’s habits, too. If they interact with you often, your post will likely appear higher. Engagement also helps you reach non-fans. When you like something or comment on something, your friends can see it if they are online, and if you share something it posts it to your stream (which has even more staying power). So, the goal of your Facebook posts should be to increase the level of engagement among your fans. But, how do you do that? Well, that’s exactly what we are going to cover in the next sections. What Bal found in his post was that pictures are the most engaging types of posts on Facebook – more engaging than text-only posts, link shares and videos. He suggests using photos in just about all of your posts. You can still include a link (as we suggest in the next section), but make sure you use a picture. One reason why pictures are so effective is because they are more visual in nature and they take up way more real estate in a user’s Facebook stream. Photos are also a huge concern in the vacation rental industry. When travelers take a vacation, they want it to be magical. They like dreaming about the experience, and photos help jump start that process. But, you can’t just use any photo. It needs to be one that grabs their attention (and also one that relates to the text of your post, and the link). On Facebook, links enable your calls to action. They are the vehicle that takes your fans from Facebook to wherever you are directing them online. If you don’t have a link, your fans have no way to take action (and you want them to take action). Sure, phone numbers are okay for certain situations, but links are more convenient for your fans. Even if you’re not using a picture and just sharing a link, it’s best to have the actual link right next to the text (even if it’s also in the link preview). You can try link shortening services like Bitly if the URL is too long. If you’re using a picture post, then it’s absolutely necessary to have the link next to the text, since the photo will override the link preview. The copy you use in your Facebook post has to be engaging as well. Make sure this copy is related to the photo and has a strong call to action. Make it clear what you want your fans to do, whether it’s click on the link, like your picture, answer a question in the comment section or share this with their friends. Make sure your call to action is appropriate for the post. For example, asking your fans to share everything you post is probably asking too much. While Bal’s post has some great information about his results (which are worth checking out), I’ll share an example from the LiveRez Facebook page that shows how the strategy above pays off. The two posts below are on the same topic, but the one on the left features a picture and a link, and the one of the right just features a link preview. You can see the difference in engagement, but what you can’t see is that the analytics, which show that the post on the left was viewed by four times as many people as the one on the right. Go back and check your efforts so far. Do you notice more engagement from posts using the method outlined above? Do you have some of your own Facebook tips to share? Let us know by sharing in the comments section.